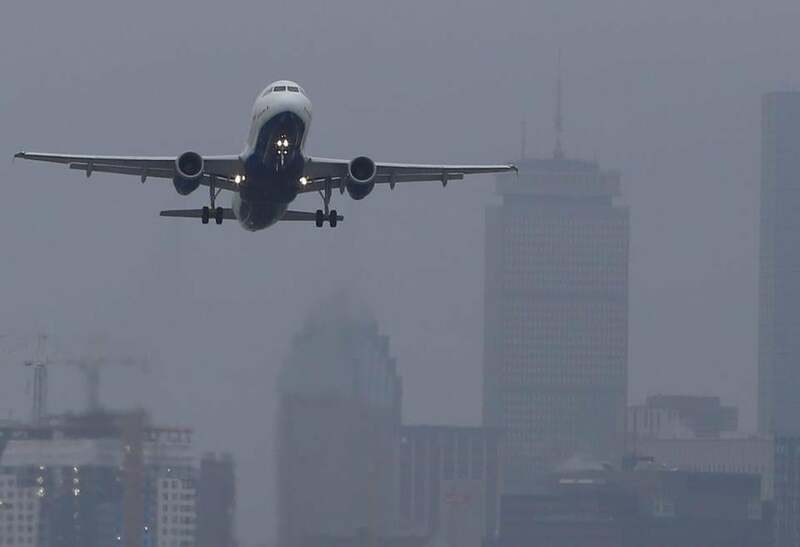 MILTON — Boston-area residents and political leaders angrily criticized the Federal Aviation Administration Thursday night at a public forum on airplane noise many say has worsened since the agency implemented use of GPS-generated flight paths in and out of Logan Airport. The hearing held at Milton High School ran nearly two hours over its allotted time due to the high number of complaints, with many of the more than 600 unhappy residents and officials describing the increased jet noise as “quality of life” and “public health” issues. “This is the single-most frustrating issue that I’ve ever faced” as an elected official, state Senator Brian A. Joyce, a Democrat who represents the Norfolk, Bristol, and Plymouth district that includes Milton, his hometown, said at the beginning of the forum. The number of complaints has skyrocketed since the Next/Gen satellite-based navigation system was put into effect. From January through September of 2015, more than 11,000 complaints were logged by the Massachusetts Port Authority, which operates Logan — with nearly 2,000 coming from Milton and almost 900 from Hull. For the same time period in 2012, before the Next/Gen system was implemented, there were fewer than 1,700 complaints altogether — with 81 from Milton and 11 from Hull. The FAA has said the system is designed to decrease jet fuel consumption and increase safety by making the sky routes more efficient. But critics say the narrower skyways unfairly burden the homes below with a constant barrage of sound and vibration. The number of complaints about noise has skyrocketed since new GPS-generated flight paths at Logan took effect. “It’s gotten so bad that we have started looking at properties in other towns,” said Mary Anne Baumgartner, of Milton. Baumgartner, 55, said she has lived in the house her grandparents built in 1941 since she was born. Moving would be “devastating,” she said after the forum. Residents in Arlington, Belmont, Cambridge, and Somerville have also complained bitterly. Todd Friedenberg, the FAA’s area regional executive manager, said during the hearing that his agency is working with the Logan Airport Community Advisory Committee, which represents more than 30 communities, to solve the noise problem and hear from residents. Andrew Hale, the FAA’s air traffic manager at Logan, said that in choosing what runways to use for an aircraft, the two primary reasons considered are wind and weather. “Safety of the operation is ALWAYS the primary concern,” stated a slide Hale used during his presentation. Friedenberg said the agency did not have someone available to respond to health questions raised at the forum over what jet exhaust does to people below the flight paths. He said his agency will work to resolve the noise situation, but did not outline any specific plan. U.S. Representative Stephen Lynch, who organized the forum, told the gathering that getting the FAA and Massport to attend was a good first step, though he noted it happened only after he threatened to have $25 million cut from the FAA’s budget. But Lynch said he is hopeful the two agencies will work together to shift some flight paths and enforce rules on how high planes must fly over certain areas. “Those are, sort of, near-term fixes I think we could get done,” he said. Other issues raised at the forum include Logan’s flight schedules, and whether there were plans to change that. Flavio Leo, Massport’s deputy director of aviation planning and strategy, said that Logan is a 24/7 airport, and that there is no cutoff time for planes to depart or arrive. Few of the residents left the forum believing their criticism of the FAA would make a difference. Ella Torres can be reached at sara.torres@globe.com. Follow her @Ella_RTorres.